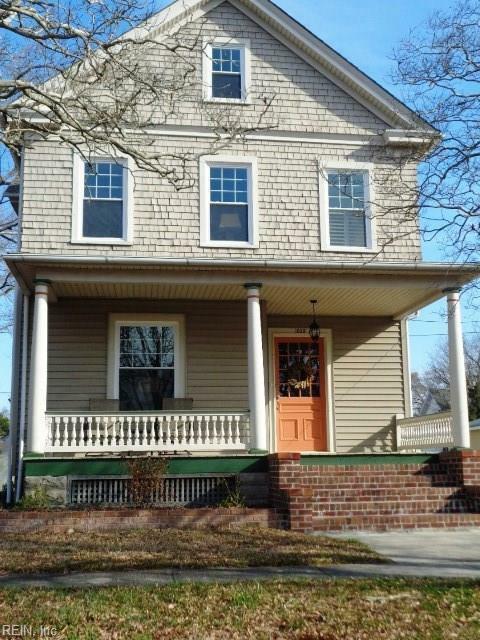 1630 Barron St, Portsmouth, VA 23704 (#10245568) :: Abbitt Realty Co.
Grand 4 BR 2.5 bath Victorian on large corner lot. 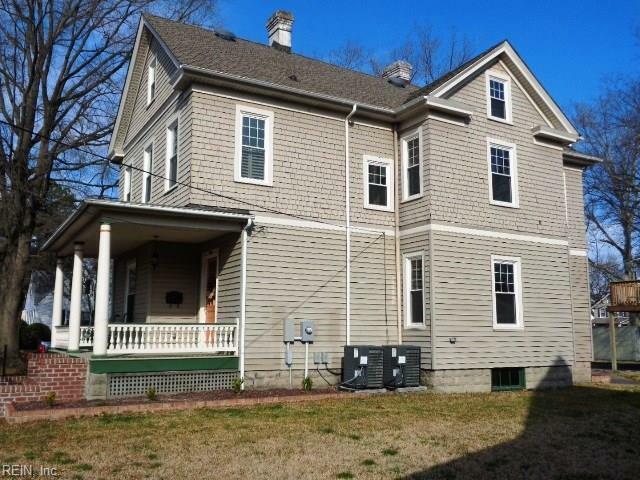 2 large porches, high ceilings, beautiful woodwork. Careful attention to detail throughout. New roof, windows, elect, plumbing, 2 zone HVAC, lighting. Gleaming floors in maple & pine. Kitch w/soft close cabinets, granite counters, travertine floor, Samsung appliances, L-shaped island with sink and dishwasher. Tile flows into laundry area w/stacked Samsung washer/dryer and large storage pantry. Pocket door leads to convenient half bath. Dining room w/built in china cabinet, storage closet. Parlor w/Victorian coal fireplace and Living room w/beautiful painted slate fireplace. 2nd floor large MBR with double closet; attached bath with heated tile floor and roomy glass shower and European style vanity. 3 additional large bedrooms. Hall bath w/double vanity and shower/tub combo with niche, new tile floor and large storage cabinet. 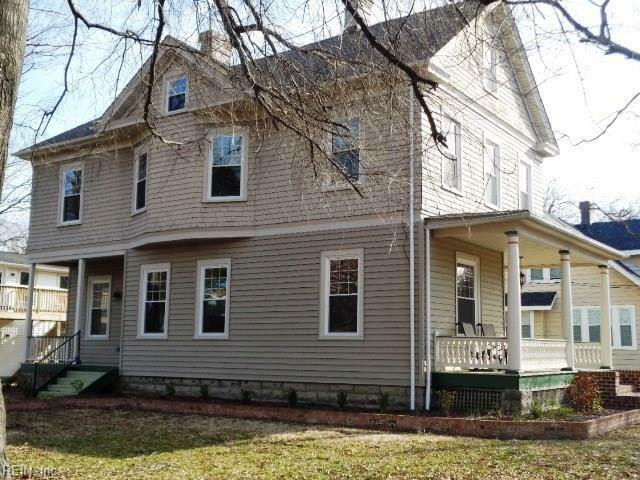 Detached garage with overhead apartment w/deck, full bath, kitchenette. Call today.